Below is the top table clash in round 7 , 2008 National Juniors Championship. It is a game between Darth Maul ( left) ..ooops sorry....Kaushal Khandhar (right) vs Justin Ong. Actually i'm not the first to label him with name of fictional character of the Star Wars Movie. Read here. 23...Rxc3 ! A strong typical exchange sacrifiece in the Sicilian game. Black will demolish white's quuenside and centre pawn in a few moves. 24.Qxc3 24.bxc3 is probably better for e.g 24...Nxe4 25.Bxh5 although black position is more fun to play 24...h4 ?! 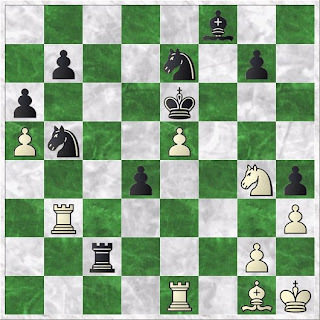 black should play 24...Qxc3 straight away 25.Bh2 ? Kaushal return the favour. 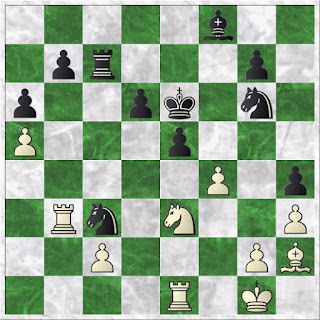 He should have played the in between move 25.Qxc7! Rxc7 26.Bh2 Rxc2 27.Nd2 Rxb2 28.Rab1 and white will have better position then the actual game. 25...Qxc3 26.bxc3 Nxe4 27.Bd3 Nxc3 28.Re1 f5 ?! Probably Justin missed white next move 29.Nd4 ! A strong and young tactician like Kaushal will not missed this tactical move. Black bishop on e6 is hanging. 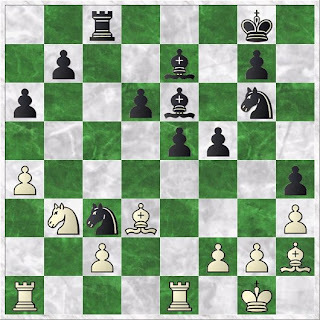 29...Kf7 Justin can't afford to give white active play with 29...exd4? because 30.Rxe6 Kf7 31.Rae1 ! Ne4 32. Bxe4 ! 30.Bxf5 In open position, preserving the bishop pair with 30.Nxf5 is probably wiser 30...Bxf5 31.Nxf5 Rc4 32.a5 Bf8 33.Ra3 Ke6 Black rook on c4 look overburden . The knight on c3 should retreat back with 33...Nd5 to release the burden of his rook . 34.Ne3 Rc5 Guarding the b7 pawn straight away with 34...Rc7 should be better 35.Rb3 Rc7? Black realised his mistake, however he should forget the b7 pawn and play actively with 35...Nd5 36.Nxd5 (36.Rxb7 Nxe3 37.fxe3 Be7 38.Ra1) 36...Kxd5 37.Ra1 Rc7 36.f4! Kaushal have an eye of the eagle. The initiative is now on white side. 36...Ne7 37.fxe5 d5! Now black's passed d-pawn look dangerous ! 41.Nf2 ?! The desicive mistake that cost the game. White should have attack the f8 bishop with 41.Rf1 and force 41...Ng6 and now black knight on g6 is less active then on c6. Both side should have equal chance . 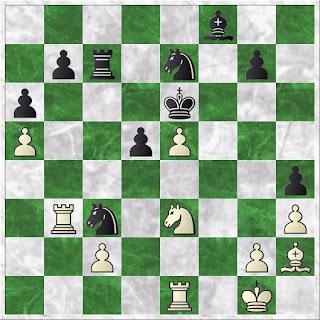 41...Nc6 Now black's knight pair look menacing ! 42.Nd3 g5 43.Rf1 Be7 44.Ne1 Rc1 45.g3 Nxa5 46.Rxb5? A desperate move which failed to change the outcome of the game. Black can give more resistance with 46.Rd3 46...axb5 47.gxh4 d3 Black strong d pawn will decide the game ! 48.Be3 Rd1 49.hxg5 d2 50.Bxd2 Rxd2 51.Nf3 Rd8 52.Kg2 Nc4 53.h4? 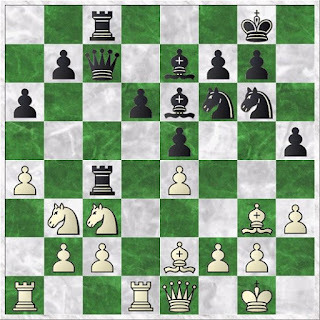 a blunder in already difficult position 53...Ne3+ forking white king and rook 0–1 A rollercoaster but intertaining game from both youngster.